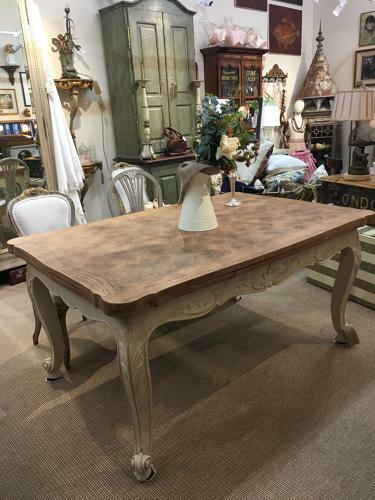 French oak topped extendable table with painted base and legs. Extends to 98". Perfect for Thanksgiving or Christmas lunch!